The hubby and I have never lived someplace with a deck so when we bought our house we asked around. 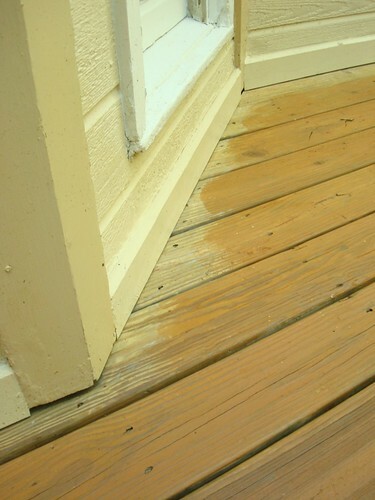 Turns out you care for a deck by, every two years, pressure washing it and restraining it. Since it clearly needed some love we (read: the most wonderful hubby ever) decided to take on the project. This shows the contrast between the pressure washed wood and the new stain as we wait until this weekend to complete the edging.